We had lots of fun during our centenary year raising money for good causes! As part of our 100-year celebration, Ricardo orchestrated a road rally around the world – inviting local people to join us along the way. The Ricardo100 Challenge raised money for charities – spearheaded by employees doing the driving. The road rally also had the aim to promote careers in science and engineering for tomorrow’s innovators. We started at our headquarters in Shoreham and travelled east across three different continents before returning to the West Sussex starting point just in time for the official opening of the new Vehicle Emissions Research Centre (VERC). The whole challenge took just over two months to complete! 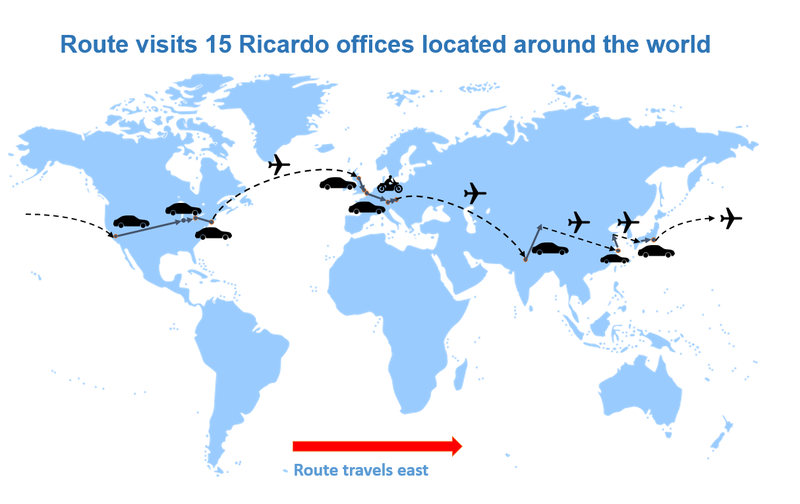 Throughout the journey, many different vehicles, some historic and some current, showcased some of the remarkable projects Ricardo has been a part of. From technology demonstrators with Ricardo innovations to passenger cars, motorcycles, trucks and public transport. Find out more on our Instagram account.